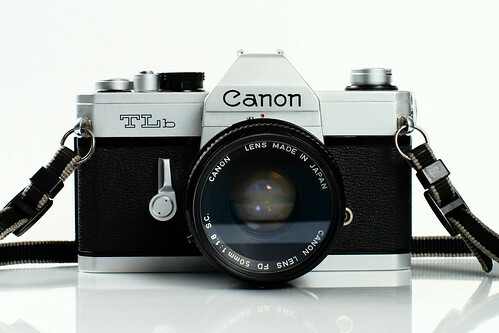 Canon's TLb is a 35mm SLR with a focal plane shutter, introduced in 1974 overseas, and sold in Japan from 1976. Like the Canon TX (which it pre-dates), this was a budget model, based on Canon's FTb. In addition to the features omitted in the TX, the TLb also lacked a hot shoe. The TLb has TTL metering using a CdS cell, powered by a mercury battery. This page was last edited on 27 April 2017, at 16:15.